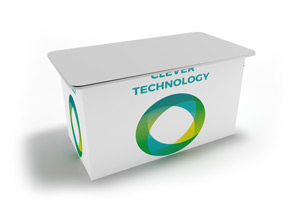 Print Advertising Systems at PrintCarrier.com – Print on Virtually Any Material! Paper was yesterday. 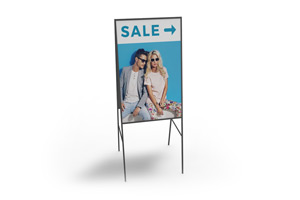 We’ll print on a huge range of different materials for your advertising campaign! 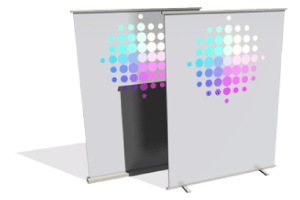 Besides paper, you can have us print on trade fair counters, roller banners or flags. After all, advertising needs to catch the eye – and large formats are the best guarantee of accomplishing this. This is why we also offer our banners in XL formats. Be creative! 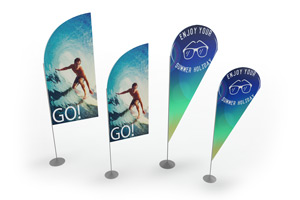 The next time you want to position yourself to good effect at a trade fair or other event, try out our beach flags. They’re genuine eye-catchers in any setting. We use 115gsm polyester fabric with a B1 fire rating, meaning that it is highly flame-resistant. We also use it for our banners. 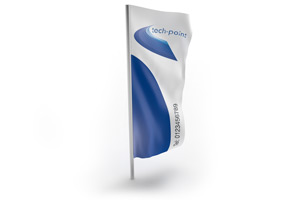 So show your colours by printing your logo on fabric and hoisting it in front of your office building, for example! All posters are not created equal. 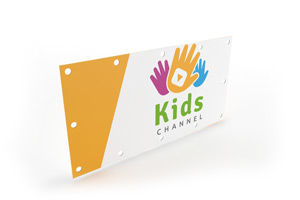 And we let you present your artwork and graphics on special substrates. Try our acrylic glass, for example, to achieve an especially elegant look, or print on canvas to make your picture look like a genuine objet d’art. 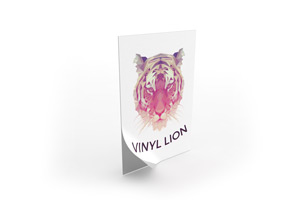 These materials are suitable for advertising purposes, decorations or gifts! 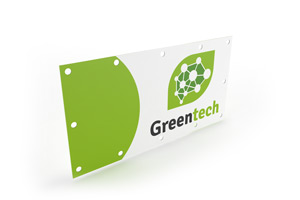 Our advertising systems include ideal products for indoor and outdoor use! 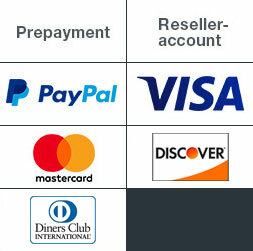 For instance, you can order one or more of our trade fair counters to optimally position yourself at events. 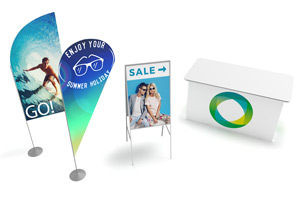 For outdoors, you’re invited to take advantage of our robust banners or vinyl rolls, which resist any weather. Our flags are also impervious to rain and storm, preserving their shape and colours with ease.